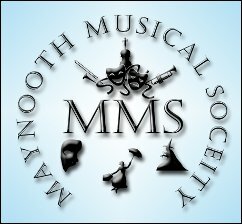 Maynooth Musical Society are very excited to announce they will be holding auditions for their upcoming show 'Musicals through the Ages'. Adult auditions will take place in The Presentation Girls School,Dunboyne road, Maynooth, Co Kildare. They will run from 7 - 9pm on Monday 25th And Tuesday 26th Nov 2013. A Children's workshop, open to all ages, will be held on Saturday 30th Nov 2013 from 2 - 5pm in Maynooth Town Football Club, on the Rathcoffey road. This will be a group workshop so no one will have to perform solo, and it'll be a wonderful chance to showoff any dancing and singing skills they might have. These are open auditions - everyone is welcome. So if you love to sing and dance or simply want to have a bit of fun, come along.